Stained, chalky basement walls are a sign of efflorescense, which is caused by groundwater seeping through the basement walls. If you're seeing signs of efflorescense on your basement walls, TerraFirma can help. Our complete basement waterproofing system will ensure that your basement stays clean and dry all the time. Call us today at 1-844-311-8051 or contact us online to get a free basement waterproofing estimate in Seattle, Portland, Tacoma and the nearby areas. Why do I have efflorescence? 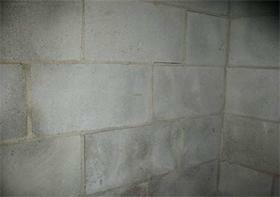 Salts: Basement walls are generally made with a variety of brick containing limestone clay or sand. These items are full of natural minerals that contain salt. The salt is dissolved by water in your basement walls. A Water Source: Water can build up outside your foundation resulting in hydrostatic pressure. This pressure then pushes that moisture into your basement. 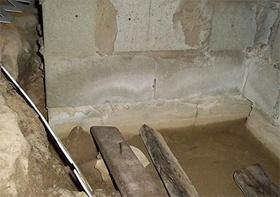 Entry Point: The water must be able to enter the basement - whether that be through the floor, wall cracks or the pores in the concrete. 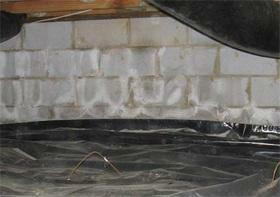 If you have efflorescence on your basement walls, you have a moisture problem in your basement. 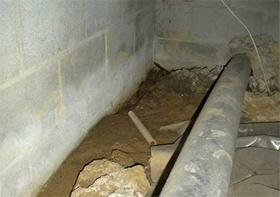 If that problem is not addressed, it can make your foundation walls crack and even cause your basement to flood. 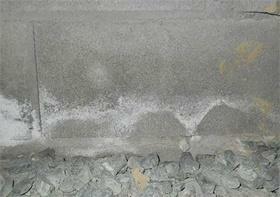 How can I stop efflorescence? 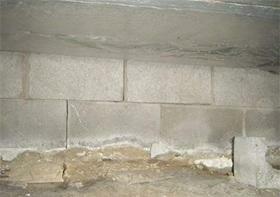 If you have efflorescence on your basement walls, you have a moisture problem in your basement. 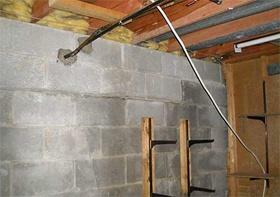 If that problem is not a ddressed, it can make your foundation walls crack and even cause your basement to flood. Contact TerraFirma today and schedule your free onsite consultation. Our specialists are highly trained and will work with you to create the best possible basement waterproofing solution for your needs. If we find that your basement has a water problem, we will likely recommend one of these solutions: FlexiSpan, WaterGuard, and SaniDry Sedona. Call us today at 1-844-311-8051 or contact us online to get started with a free estimate on any of our basement waterproofing solutions. We offer all our services in Seattle, Portland, Tacoma, Vancouver, Bellevue, Eugene, Renton, Hillsboro, Salem, Gresham and the nearby areas.